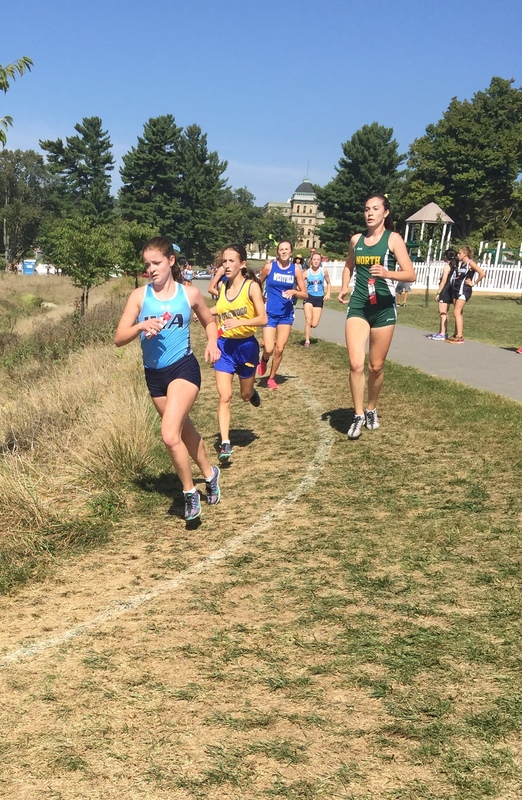 Megan Brockmeier ’17 runs her way to placing in the the Magee Invitational Meet. As October is rolling in, you find yourself running to school, to practice, or running an errand. But have you seen IHA’s Cross Country team run during practice? The cross-country team is undefeated in the dual meets season, along with winning huge titles in the Magee Conference Meet, and the meets at both Garrett Mountain and Darlington Park. The team lost many strong runners when the class of 2015 graduated, but their average mile times are faster than they have been in years! Under the leadership of captains Lauren Gallagher ’16, Jackie Rogers ’16, and Bridget Scanlon ’16, the team has maintained its reputation at every meet, showing opponents IHA is a force to be reckoned with. IHA Cross Country’s Columbus Day weekend will truly be “magical” as they travel to Florida to take on the Disney Course. The team is very excited to be traveling with each other and the Bergen Catholic team and they have hopes of bringing home another “Mickey Trophy” from the race. IHA Cross Country, run fast and do your best! Let’s bring home that win!